While antiretroviral therapies have significantly improved and extended the lives of many HIV patients, another insidious and little discussed threat looms for aging sufferers - HIV-associated neurocognitive disorders (HAND). The disorders, which strike more often in HIV patients over age 50, can result in cognitive impairment, mild to severe, making everyday tasks a challenge. But new findings, published in the Journal of Neuroscience, open the door to the development of new therapies to block or decrease cognitive decline due to HAND, estimated to affect 10 to 50 percent of aging HIV sufferers to some degree. There are several types of HAND, the most common being Mild Neurocognitive Disorder (MND). But even mild cognitive problems can interfere with everyday functioning and reduce quality of life. Sufferers may have difficulty with daily activities like balancing a checkbook or driving directions. In their study, the researchers sought to understand the mechanisms by which HIV damages brain cells. 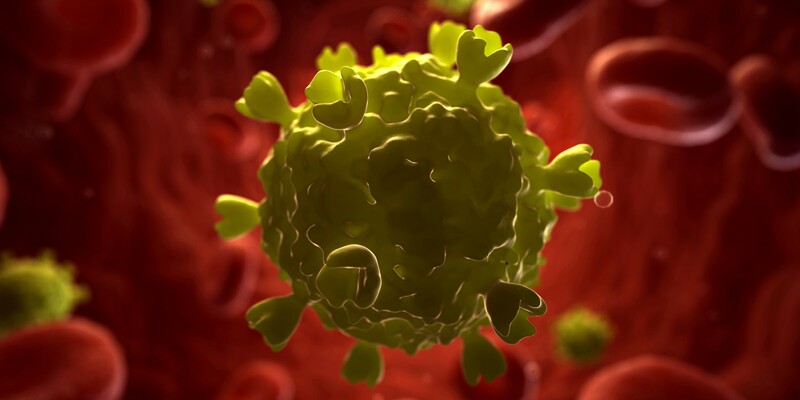 They focused on the HIV tat protein's role in a critical disposal process, known as autophagy, in neurons. Neurons produce a lot of proteins as part of their normal functions, some of which are damaged and need to be cleared away. Autophagy acts like a garbage disposal and removes and destroys the damaged proteins. The researchers found that HIV tat "hijacks" the disposal process by interfering with key pathways. HIV tat is secreted from infected cells in the brain, and subsequently enters neurons where it binds to a protein that is important for multiple autophagy pathways. This binding disrupts the neuronal autophagy process, resulting in the accumulation of damaged proteins and death of the neuron. Overtime, this may lead to impaired cognitive abilities. To counteract this disruption, the team conducted mouse studies using the cancer drug rapamycin, which has been reported to promote autophagy in other cell types. By speeding up neuronal autophagy, the researchers hoped to override the disruptive effects of HIV tat on the process. The experiments produced positive results. They found that rapamycin reduced the incidence of neurodegeneration in the mice and in cell models. While the feasibility of rapamycin as a neurological treatment in humans is currently inconclusive, the study's results are exciting because they prove, in principle, that enhancing autophagy reduces tat-induced neurodegeneration. By understanding the molecular underpinnings of how HIV proteins kill nerve cells, the researchers hope to design drugs that can block this process. Based on material originally posted by University of California - San Diego.